Imagine this—but powerful enough for the whole house! Air conditioning costs get steep during the hot summers we experience here in the Central Valley. 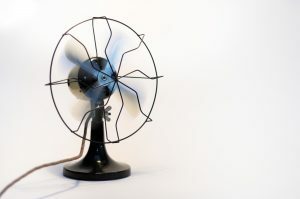 Temperatures in the high 90s are common throughout the season, and most people simply can’t make it through a hot day without an effective air conditioning system to cool down their homes. However, there are ways to supplement an air conditioning system so it doesn’t have to put in as much work during summer, helping to chop down scary monthly electrical bills. One method we strongly recommend is putting in a whole-house fan. Continue below for more about how these systems work and their benefits. Right now we’re enjoying lovely weather here in the Central Valley. Not too hot, not too cold. It’s just what you expect from the middle of spring. But spring also is a warning that things are going to heat up soon. Summer isn’t far off, and this is the right time to have preparations to see that your air conditioning system is in prime shape for the work to come. Change the filters, give the AC a test run, and most important of all, contact us to schedule your annual air conditioning maintenance tune-up and inspection. But since no air conditioning system can last forever, this might be the season when the work you arrange with our HVAC technicians is an AC replacement. No problems! It’s a bigger job, but one we’ve been handling for decades. Our experts know how to find the best new air conditioner to meet your needs, size it accurately, and have it in place fast so you’re ready for whatever heat comes your way. And it’s best not to delay the job if this is the Year of the Replacement. Spring is the right time. Freezing Weather Ahead: Is Your HVAC System Maintained and Ready? The cold winter weather has arrived. But we can anticipate much colder in the first months of the New Year. When the outdoor temperatures drop below freezing, you’re HVAC system will undergo an immense amount of stress to provide your family with the warmth it absolutely requires. This leads to the Big Winter Heating Question: Is your HVAC system ready for freezing weather? We’ll take a closer look by asking a few questions. Posted in Heating | Comments Off on Freezing Weather Ahead: Is Your HVAC System Maintained and Ready? It’s now September, and that means the start of cooler temperatures in many parts of the country. Here in the Central Valley, however, we’re still experiencing levels of intense heat and daytime temperatures that sometimes rise into the 90s. This isn’t a time to relax when it comes to proper air conditioning for a home. In fact, this is an ideal season to consider ways to enhance your air conditioning system if you’re not planning to have a complete new installation. Below is some of our advice for improving your residential AC at the end of the cooling season. 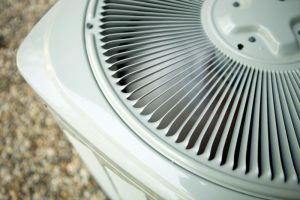 Should You Replace Your Old Air Conditioning System Now That Summer Is Over? It’s already October, and here in the Central Valley we are perched between cooling and heating seasons. This is the time of year when you should think about changes you might want to make to your HVAC system. Posted in Air Conditioning | Comments Off on Should You Replace Your Old Air Conditioning System Now That Summer Is Over?